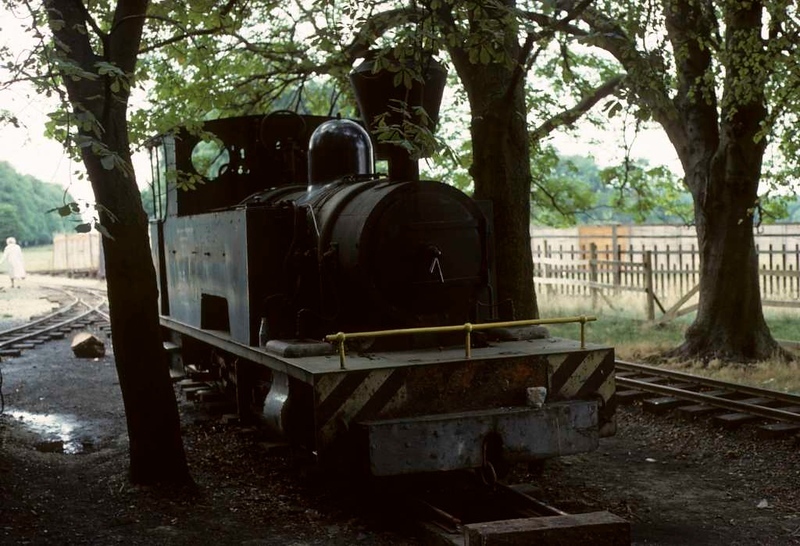 Isibutu, Knebworth Park & Wintergreen Railway, 23 August 1975 1. Bagnall 4-4-0T 2820 / 1945. Repatriated from the Tongaat sugar company, Natal, South Africa, to Knebworth Park in 1972. Photo by Les Tindall.